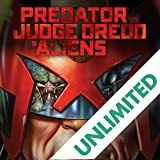 Dredd is the most lethal of the highly-trained and obscenely well-armed law enforcement agency known as the Judges, tasked with keeping the sprawling metropolis of Mega-City One from descending into chaos and anarchy. 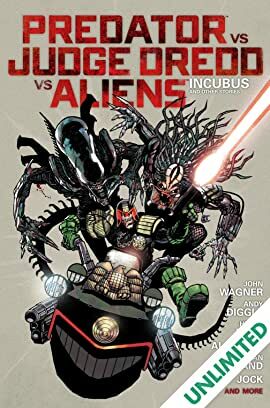 But now Dredd and the other Judges are all that stand between the universe's most efficient killing machines and the annihilation of every living being in the city--criminal or innocent. 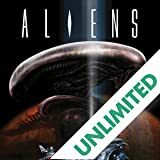 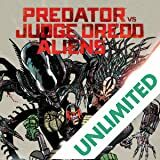 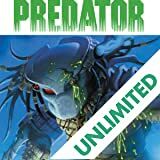 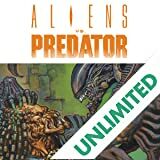 Dark Horse Comics and 2000 AD team up to bring you a collection of the classic stories Predator versus Judge DreddandJudge Dredd versus Aliensin one handsome hardcover.